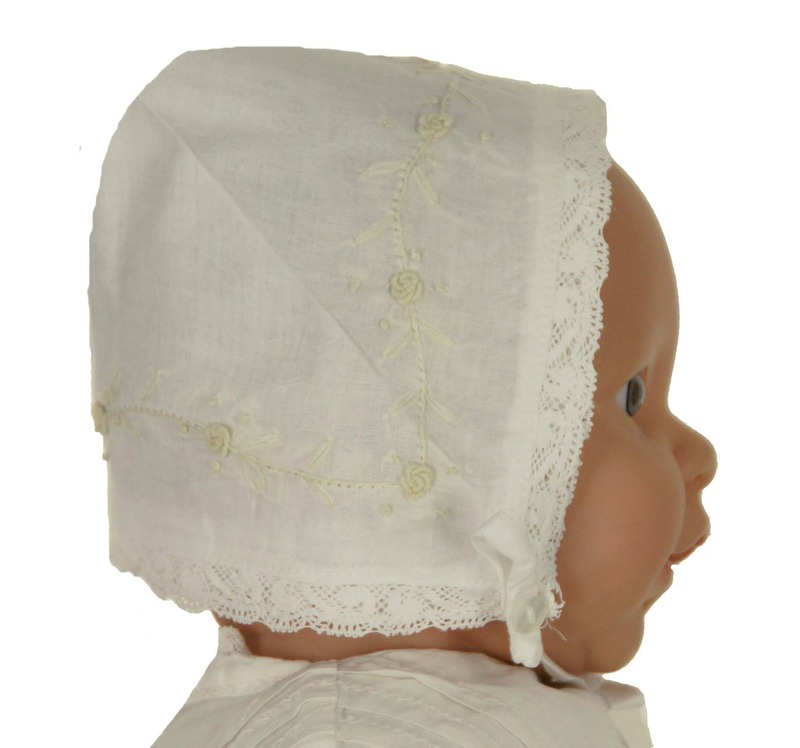 Made by Rosalina, a leading manufacturer of children's classic clothing, this beautiful pale ivory cotton bonnet is made from a handkerchief edged with lace trim. A trailing vine of ivory embroidery with rosebuds adorns the sides, top, and back of the bonnet. It ties under the chin with narrow white fabric ties. The tradition is for a baby to wear this as a coming home cap or a christening cap. Saved as an heirloom, the back seam and button are clipped so it reverts to a beautiful cotton hanky to be carried by a bride on her wedding day. A poem explaining this lovely tradition is included. 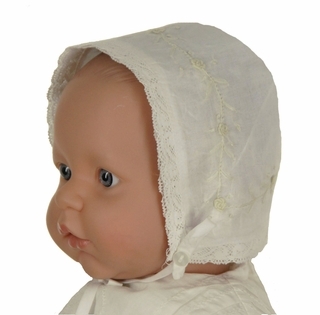 Note: This bonnet was photographed on a doll with a 15" head circumference.